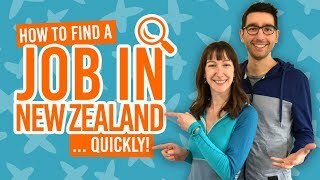 Hiring a vehicle in New Zealand when you are under 25. It’s a common misconception that you have to be over 25 years old to rent a vehicle in New Zealand. Although being under 25 means you might hit a few restrictions when hiring a vehicle, there are actually many rental companies that specialise in hiring cars and campervans out to people under 25. It’s true that you have less of a selection of vehicles and companies than someone who is over 25 would have, however, there are still plenty of rental vehicles to choose from if you are under 25 years old. So what are the age restrictions when renting a vehicle in New Zealand? You may come across age restrictions for some car rental companies in New Zealand if you are 18, under 21 or under 25 years old. The best way to find this information out is to read the terms and conditions of the car and campervan rental companies you are comparing. They will state what the age restrictions are, what the minimum age is to hire a vehicle, and whether there are any additional fees for being under a certain age. 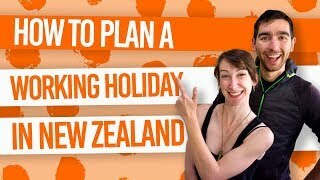 Preparing your road trip in New Zealand. In New Zealand, 18 years old is the age that you are legally allowed to drive in New Zealand. You also need to have a full driving license, as well as an approved translation if your driving license is not in English. There are plenty of vehicle rental companies, both car and campervan, who specialise in hiring vehicles fur under 25-year-olds, including if you are 18. However, other vehicle rental companies have a minimum age for hiring their vehicles, which is either 18 or 21. This means you have far less choice of rental vehicles in New Zealand. It’s also worth noting that some rental companies require you to have had a driving license for at least one year. If you are under 18 years old and want to rent a vehicle in New Zealand, the restrictions mentioned in the two sections below also apply to you. There are plenty of campervan and car rental companies that rent vehicles to people under 21 years old, just as they would to someone over 21. The market of these companies are usually a younger audience so they often advertise under 21 rentals loud and clear on their websites. However, where it isn’t obvious that a vehicle rental company hires out vehicles to under 21s, then you will need to start digging into the fine print. You are only able to hire certain cars, excluding campervans of a certain size. The final age restriction you may find when hiring a vehicle in New Zealand is being under 25 years old. What type of vehicle can you hire when you’re under 25? Even if you are under 25, there are a wide range of options when it comes to the type of vehicles you can hire in New Zealand. Most rental companies will offer under 25-year-olds a choice of all their standard-size cars, sleep-in cars and 2-berth campervans. These are usually van-sized campers that can compactly fit a bed, shower, toilet and small kitchen in. However, you may start finding less choice when it comes to looking at motorhomes or RVs. Most motorhome rental companies have an age restriction of at least 21. For more information on the different vehicles available to rent in New Zealand, take a look at Different Types of Campervans in New Zealand. Are you too old to rent a car in New Zealand? Another age restriction cropping up in the car rental industry in some countries is the maximum age restriction. People over a certain age will either be charged extra for renting or will be banned from renting altogether. While a maximum age restriction is not a feature of most car rental companies in New Zealand, always check the terms & conditions of car rental companies to make sure. At the time of writing, the only known company to apply an upper age limit is Apollo by Hertz. People over 75 years old cannot rent an Apollo vehicle.